By buying this card you are supporting the work of Arthouse Meath which gives people with severe epilepsy or learning difficulties the opportunity to create sellable artworks. When he joined the Arthouse in 2010 Peter had suffered 140 epileptic seizures in the same year. Peter is constantly in the studio where he loves producing artwork and the new possibilities that the Arthouse has created for him. 100% of the Arthouse's profits go to the Meath Epilepsy Trust charity. The Arthouse Meath Charity It's a Bit Late But its From My Heart Card product ethics are indicated below. To learn more about these product ethics and to see related products, follow the links below. 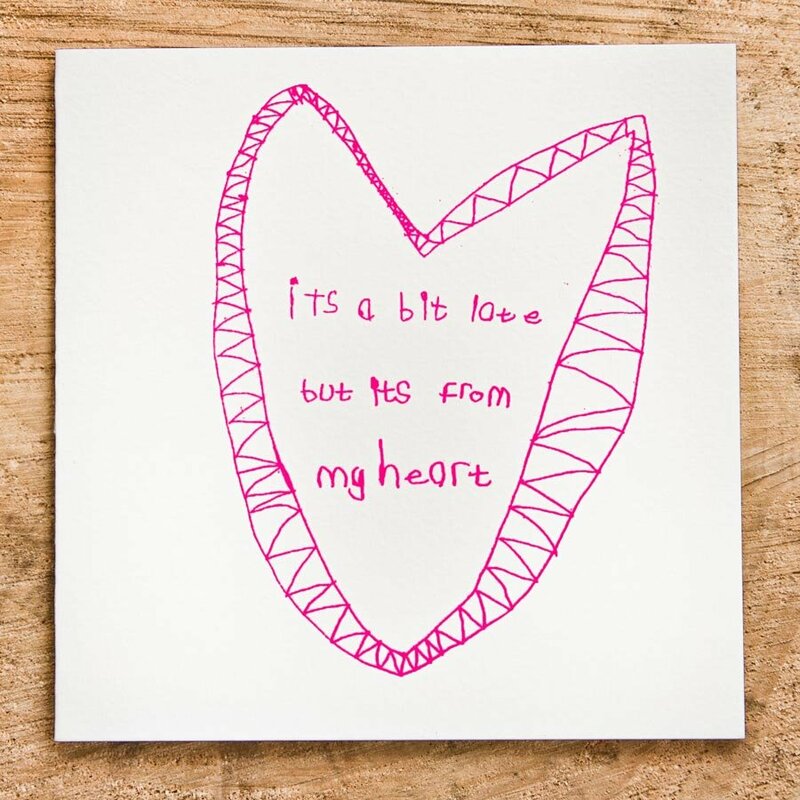 There are currently no questions to display about Arthouse Meath Charity It's a Bit Late But its From My Heart Card. ARTHOUSE Meath is a project run by the Meath Epilepsy Trust. 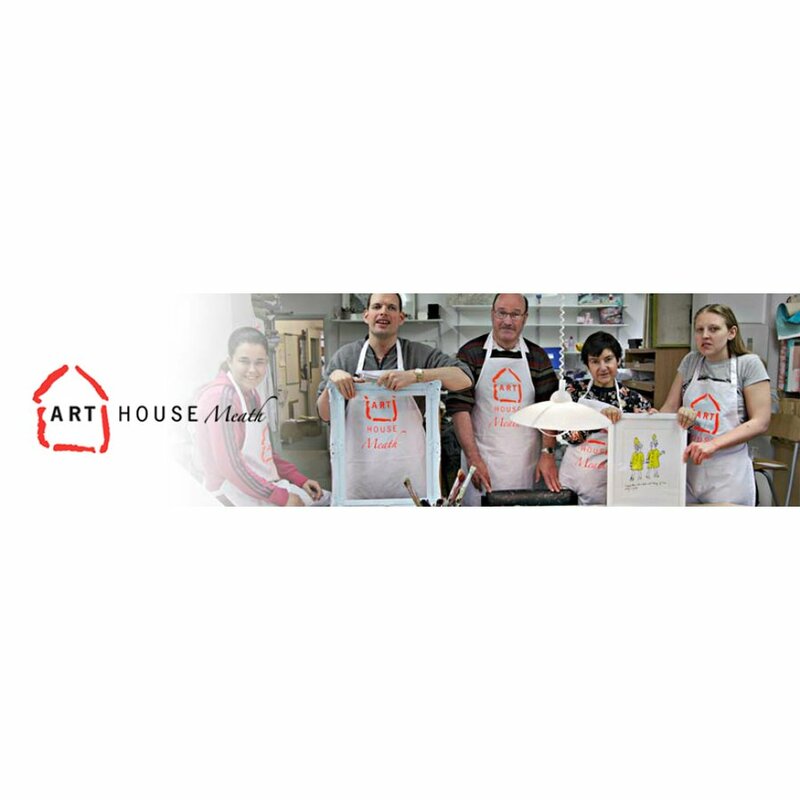 The ARTHOUSE offers placements to adults with varying degrees of ability. The majority are living with complex epilepsy coupled with other disabling problems. Every image on work sold by the ARTHOUSE has been created by one of these artists. The ARTHOSUE exists to show what can be and is achieved with the right support. For many, this experience is life changing. Particularly for those who have been made to feel inadequate in the past. Much of the work reflects a refreshing perspective on life. It’s often humorous and always full of character. The range includes greetings cards, notebooks, and tea towels – all beautifully printed, high quality products created in the Arthouse studio.